A day of prayer and adoration across churches in Patna Archdiocese marked the beginning of the Centenary celebrations of Patna Archdiocese. 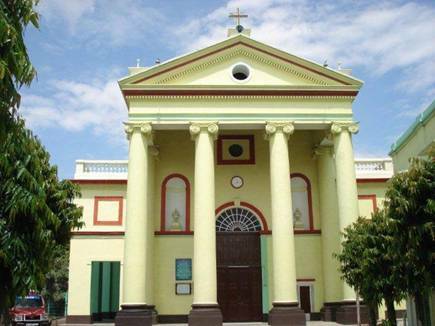 Earlier, Most Reverend William D’Souza SJ, Archbishop of Patna called for a Day of Prayer in all parishes across the state to mark the start of the Centenary year of Patna Archdiocese. In a video statement, (click link) His Grace William D’Souza recalled the history of the Patna diocese. It was on the 10th of September 1919, when Pope Benedict the 15th created the Patna Diocese from the Allahabad diocese. Rev Fr Louis Van Hoeck SJ was ordained the first Bishop of Patna in 1921. 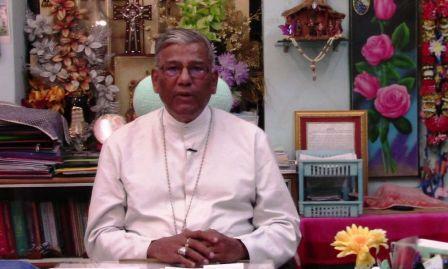 “I am happy to inform you that tell you that Patna Archdiocese will be soon entering its centenary year. I want to remind you that 1919 Pope Benedict XV had declared Patna as a diocese on 10th September 1919, separating it from Allahabad diocese. Patna became an independent diocese. Then, Nepal and the whole of Bihar came under one diocese, which happened to be the largest diocese in the world. “The actual date of the commencement of the centenary year is on 10th September. But 9th September, being a Sunday, I have declared 9th September as the beginning of the Centenary year, dedicating 24 hours for the Lord, in prayer, in adoration, and in thanksgiving, in response of 99 years of God’s faithfulness to us, showering his countless blessings on the diocese. I invite all of you to take part in these 24 hours for the Lord, for giving some of your precious time to spend before the Eucharistic Lord in thanking and praising him for his blessings. ” The official inauguration of the Centenary year will be held on the 9th of November, at Kurji parish, in which all the Bishops of Nepal and Bihar, along with the Apostolic Nuncio from Delhi who would be the main celebrant at the Eucharistic Thanksgiving on that day. I invite all of you to take part in this Thanksgiving Mass for the formal inauguration of the centenary year. Many programmes have been thought of that will be communicated to you in the course of time. ” I have prepared a short prayer for the centenary year, both in English and in Hindi, and it is hoped that all the parishes, the families, and the individuals will make use of this prayer as your personal prayer of thanking god for his blessings on Patna diocese. “As a preparation of this centenary year, and a culmination of the year of the Bible, a three day convention has been planned a Bible Convention has been planned in Kurji Parish from 15th October to 17th October. This will be an occasion for us to celebrate the Word of God, joyfully, meaningfully, as a community. I welcome all of you to participate in this Bible Utsav which will be our celebration of the Word of God. The whole of the Patna archdiocese will be participating in the Bible Utsav.